Design great environments to be elegant, comfortable and functional. An Innovative, Creative, Fun Designer with panache` who has YOUR Taste and Budget ALWAYS in Mind! In April 2001, PANACHE`` INTERIORS was born in Palm Harbor Fl. I designed in the Clearwater, St. Petersburg, Sarasota areas, but five months later 9/11 happened. Shortly after that, I moved and took the business to Gainesville, GA. I was fortunate and began designing right away in several gorgeous homes along Lake Lanier; then in Roswell and Alpharetta, GA. At that time, we won the Best of Show Dining Room at Home Expo with our Team in 2001! I wish the pictures from back then were useable on this site... It was exciting! But I have many pictures I can show when I meet you for a consultation! I felt led to educate myself in more than room design, draperies and paint consultations for my clients, so I studied PATIO DESIGN design and fabrics, furniture quality and construction, leather qualities and period furniture. All of that enables me to bring more value to my clients when consulting with them about what they want and need for their dream home! My preferred niche is "warm contemporary" style and drapery design; but I have worked with ANY style; whatever YOU love and wish to continue in your own home! So let's get busy! Please give me a call at Panache` Interior and Exteriors and book a convenient time for me to come to your home and get to know YOU! Cheers ! Let's have some fun and create a beautiful room or home for you! Lori North Interiors is a professional Interior Designer firm specializing in new home construction, remodeling, model homes, residential design and color consultations. I have utilized my skills as an Interior Designer since graduating from the University of Georgia in 1989 with a degree in Furnishings and Interiors. In my 29 years of experience, I have had the pleasure to work with some of the most discerning residential clients and top builders in the Atlanta area. I specialize in making interiors come alive. I work with each of my clients allowing their tastes to dictate the flow of the design. Whether my client is looking for fresh ideas, current trends, and popular colors, or if my client prefers a traditional home with warm undertones, and a comfortable cozy feel, I pride myself on concise attention to my client’s individual needs. Visualizing the beauty in every home, I am able to work with my clients to create a space that is both functional and livable. Although I have a love of high end design, I have a knack of working within many different price points as well as design styles. My job is different every day in the field of Interior Design. I can be creative and stretch my imagination tailoring individual spaces so that each client has unique look that is all of their own. 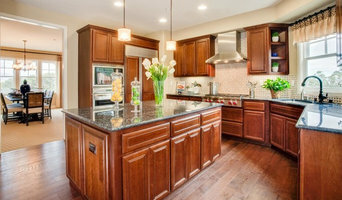 I have worked with my residential clients, builders and flippers in designing reconstruction for Kitchens and Baths. Creativity can be endless with all of the cabinets, countertops, and tile selections that are available today. I take great pleasure in seeing ideas on paper come alive for my clients creating spaces that can be enjoyed for years to come. I have worked with many diverse builders covering the Atlanta area in new home construction interior and exterior design for over 25 years. I work directly with my clients in the color specifications for their new homes with cabinets, counter tops, tile, paint, and flooring selections. With my vast experience, color consultations have become one of my specialties. I am proud to serve as the ACC in many neighborhoods in the Atlanta area making sure the streetscape is presentable and pleasing. It would be a pleasure to work together to make your home your dream home. As an Award winning Interior Designer, Maya loves to create beautiful finished spaces that reflect her client's lifestyle and tell their story. By collaborating with her clients to develop a well thought out design plan, she is able to create the perfect combination of function, beauty, and comfort that give each client the room of their dreams. Maya brings a wealth of design knowledge, textile design experience, and years spent traveling to the design process, giving her the unique ability to listen to her client's needs and exceed their expectations. Maya has her Masters Degree in Interior Architecture, and can help with the design process from the building plan stage to completion of a whole house design, to an updated refresh of a well-loved residence. From floor plan to custom window treatments and everything in between, her goal is to make any design project less intimidating for her clients. We are an Interior Design firm and online boutique offering an array of unique furnishings, home decor, lighting, bedding, window treatments and custom everything! Contact us today! Interior Design & Consultations & Home Staging. We know that a home is an extension of who you are. It's like your "skin" and you definitely want to be comfortable in your skin. We work one-on-one with you to create the right balance between style and comfort. Model Home Merchandising One of the real strengths of FabDiggity is that we know so much about real estate marketing. With nearly two decades of experience, we have a thorough understanding of what works for each target audience in the marketplace. Home Decor -Visit our store at www.fabdiggity.com Home decor is our passion and we understand how it plays into your life. Your home should speak volumes about who you are, how you live, what you like, your style and more. A good home design professional will hone your style down to its very essence and be able to choose a functional layout that feels natural to you. Interior design companies can be involved as much or as little as the client desires. Many clients who hire an interior decorator in Woodstock, GA — particularly those who are remodeling — have a good sense of how the room should look and what products they should use. Often clients will insist that interior decorators use the products already present in the house. Other times a designer will need to start from scratch — especially if this is a newly purchased or just-built home. An interior design company will need to figure out exactly what the client needs, which includes organizing rooms, picking flooring and wall colors, and finding furniture to complement it all. Sometimes that means he or she will have to recruit help from other Woodstock, GA home professionals to help create the perfect look for your renovation. Here are some related professionals and vendors to complement the work of interior designers & decorators: Architects & Building Designers, General Contractors, Home Builders, Design-Build Firms, Photographers. Do your research before meeting with an interior designer or home decorator in Woodstock, GA. Ask yourself what you want your space to become and what it will be used for. Figure out the extent of what you need help with, what your must-haves are and what your budget is. Interior design services can add up fast, so be up front with a potential design firm or individual from the beginning. Also, pick an interior decorator that fits your style. Browse through the portfolios of different Woodstock interior design firms and decide if you would live in those houses. Just because you like something doesn’t mean you could live in it. There's a big difference! 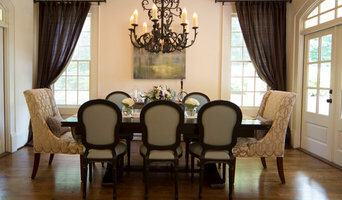 Find an interior designer or home decorator in Woodstock, GA on Houzz. Narrow your search in the Professionals section to find Woodstock interior designers near you. You can also look through Woodstock, GA photos to find a room you like, then contact the design firm who designed it.